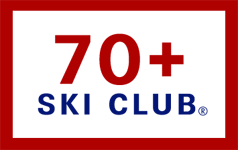 Halloween Skiing, Nor’Easter Brings New England Snow, Contribute To SeniorsSkiing.com, Stein’s Studebaker, Ultimate Ski Quiz. For the first time in a while, there will be skiing on Halloween. 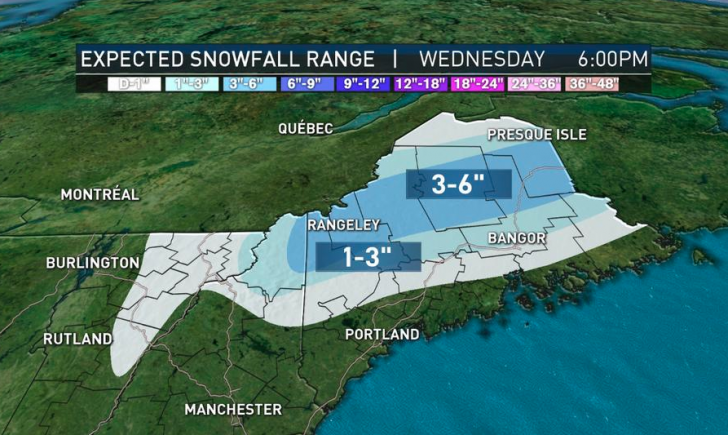 Resorts are opening in BC, Colorado, Vermont, Maine, and more snow is on the way this week in New England. Here’s the forecast for this Wednesday 10/25. Get your costume ready. 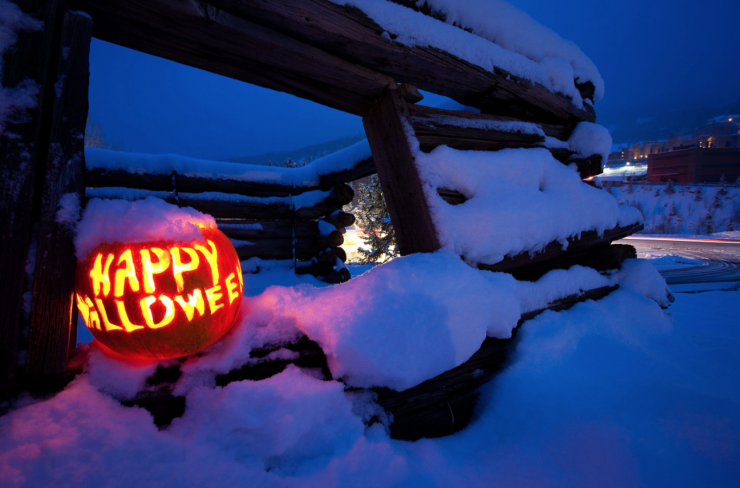 We would love to see your pictures from your Halloween Skiing Weekend if you are lucky enough to head out. Send your pictures to [email protected] with location, your name, and worthy details, and we’ll publish it next week. Thanks! We want our readers to share with our readers. After all, you’ve been around winter sports for a while. You had funny, dramatic, poignant, scary, etc. experiences in snow country. You’ve run across characters straight out of central casting: living ski legends, local heroes, magnificent employees of resorts, entrepreneurs, long-time ski patrollers, and the like. You also know what makes for a good product or piece of gear for seniors: items that are convenient, add to safety, and/or are cool. You know about places we all should know about. 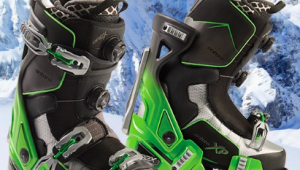 You’ve been reading books about snow sports and related topics. You know a restaurant that is special, an inn we would love, a ski shop that has gone ‘way beyond your expectations. You have a collection of pictures from the old days you’d love to share. You have recovered from an injury using a conditioning routine that was effective. Tell us. Advise us. Inform us. 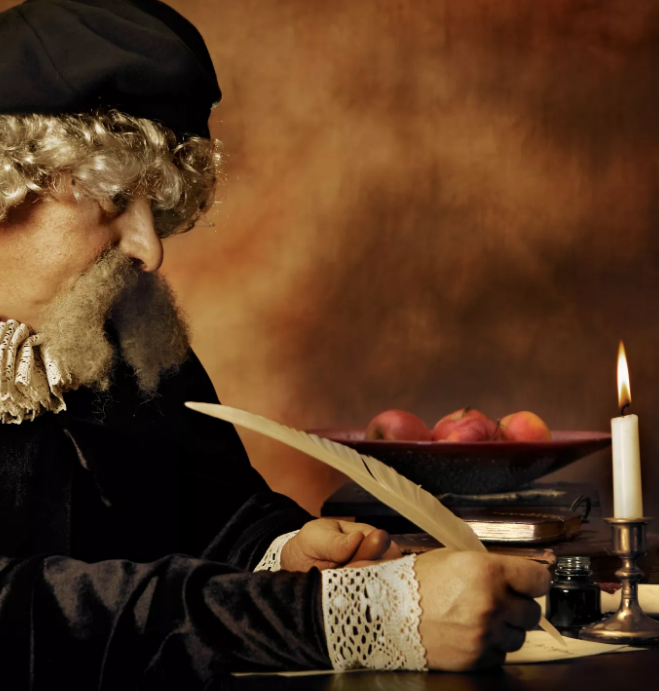 We’d love to hear more stories from our readers. If you are interested in contributing, write to [email protected], and we’ll give you the specs. 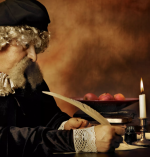 Look at our past stories in our many different categories and check out the style and length (500-600 words) of our typical articles. If you are a photographer, send your pictures and videos. We know there are many, many readers who have stories to tell. So, tell us. Correspondent Jan Brunvand reports on his search for Stein Eriksen’s Studebaker. Yes, you read that correctly. Find out where the path led him. Also Don Burch as composed a tricky, funny quiz of ski terms that will give you a chuckle or two. Perhaps a challenge. Just fun stuff. Time to get thinking about heading to the shows coming to Boston, Nov. 8-11, and Denver, Nov. 16-18. If you click the Ski and Snowboard Show ad at the top of our page, you can get a discount from the admission. Just use the promo code: SENIOR. For many, collecting the brochures and swag from the many resorts and vendors at the shows really gets the mind ready for the season. We have scrubbed and re-scrubbed our listing of where seniors can ski for free or almost free for both US and Canadian resorts. We are going through the final editing process and putting into shape for publishing. Stand by. If we missed any resorts that offer free or almost free skiing to seniors, we hope you will let us know. This year, several new listings were referred by our readers. Remember, dear readers, there are more of us every day, and we aren’t going away! 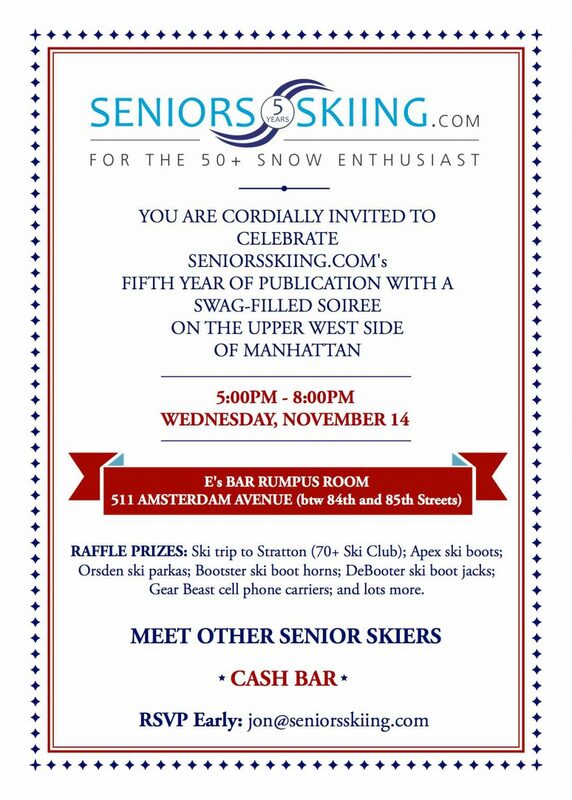 If you’re in NYC, come to our fifth anniversary birthday bash in Manhattan.